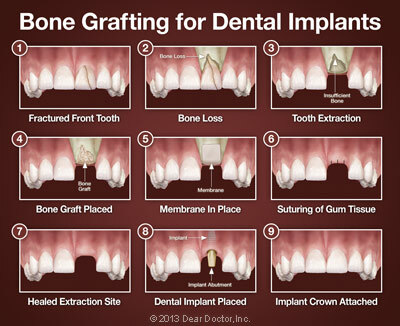 The procedure for placing a bone graft usually requires only local anesthesia, though oral or IV sedatives can also be used to achieve a higher state of relaxation. Because a small incision in your gum tissue needs to be made to access the underlying bone that will receive the graft, you may experience some soreness in the area after the surgery; this can usually be managed by over-the-counter anti-inflammatory medication and/or pain relievers as well as ice therapy after the procedure. Though you will soon feel completely back to normal, it may take your body up to seven months for bone maturation to take place to receive your dental implant. The waiting time allows us to be sure the healing process has had enough time to achieve the desired result: ideal support for replacement teeth that look great and will last a lifetime. 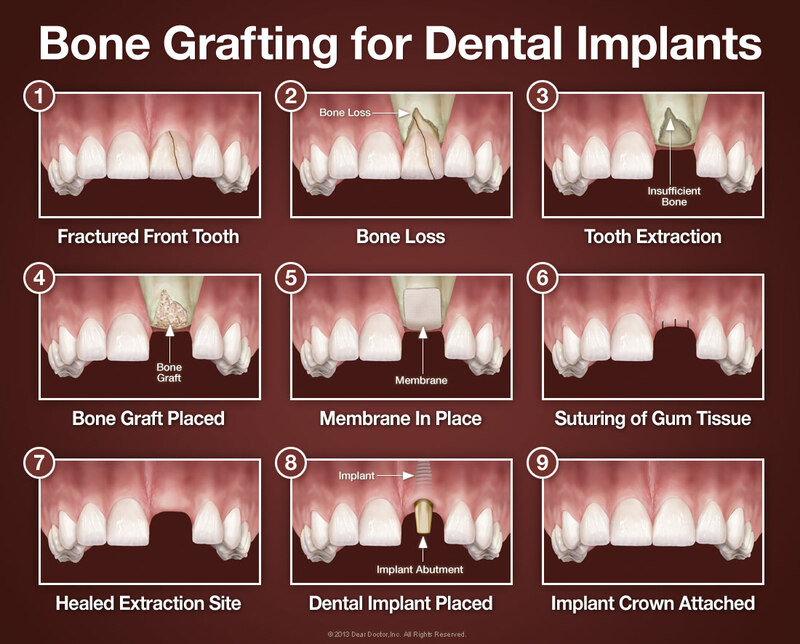 Learn more by reading frequently asked questions about bone grafting.